To be able to see the caller from my laptop and decide if it’s worth to get up, make a break and pick up the phone. To be able to easily reject the call with the press of a button. To be able to see a list of all the calls later, in case I needed to call back people I ignored when I was busy. 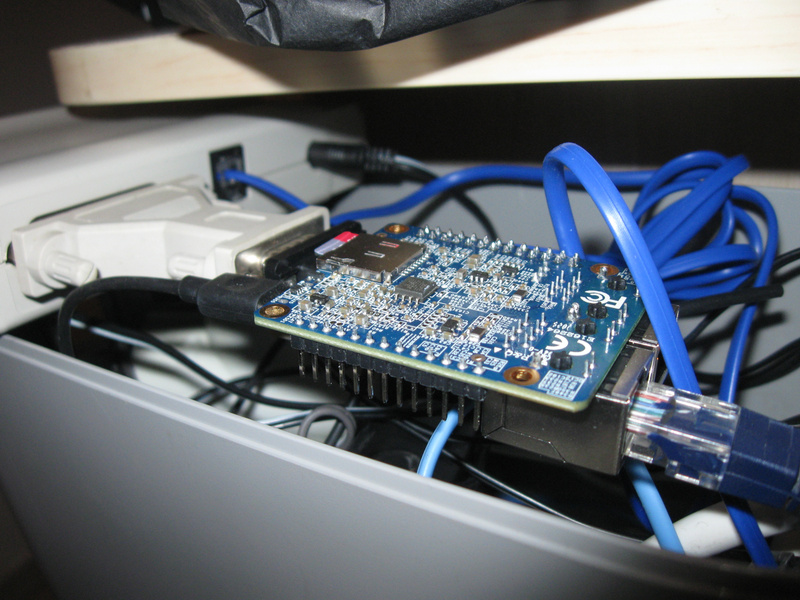 We used a modem connected to the phone line and an Orange Pi device to talk to this modem through the serial port. The caller ID is displayed after the first and before the second ring message (when it’s available). When the first ring message arrives, the daemon sets a timer (alarm to call a signal handler in 3sec). If the caller id arrives in the meantime, it broadcasts a message ring <caller id> to all the connected clients and cancels the timer. Otherwise, it only broadcasts the ring. It also records the calls to a log file. Now, for us to receive notifications about the calls, we needed some clients to exchange data with the daemon. I didn’t find it very convenient to run an instance to connect and see the messages and then another instance to hang up the phone while it was ringing so I was only using it to see the log. Instead, I’ve written a small Perl script that uses the Gtk2::Notify to connect to the server through a socket and display the ring messages that are broadcasted by the server as bubble notifications. Every notification has a “Hang Up” button that sends the hangup message to the server when it’s pressed. In theory, the daemon should only send the ATH0 command to the modem to reject the call but it seems that our modem is able to do that only when it has already picked up the phone and not while the phone is ringing. So, what we ended up doing to reject the call was to send the ATH1 (and charge the annoying caller), wait 2 seconds and then send the ATH0 command. Let the Orange Pi device play the ringtone to be able to silence the sound remotely. Have a phone book to assign some numbers to names. Have a blacklist with all the annoying numbers (ads etc) in order to automatically reject calls from them from the server (without waiting for the ring message to reach the client).